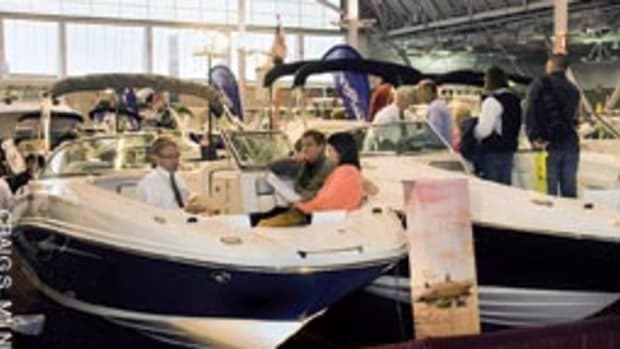 With dealers bringing fewer vessels to the show, the booth and exhibitor space was limited to one floor of the Rhode Island Convention Center. "I&apos;ve been coming for the last six or seven years and there&apos;s not as much as there always is this year," says Bob Lacharite of Barrington, R.I., who owns a 35-foot Silverton. On the other hand, Grace Bradley of Charlestown, R.I., thought the new format was a welcome change. 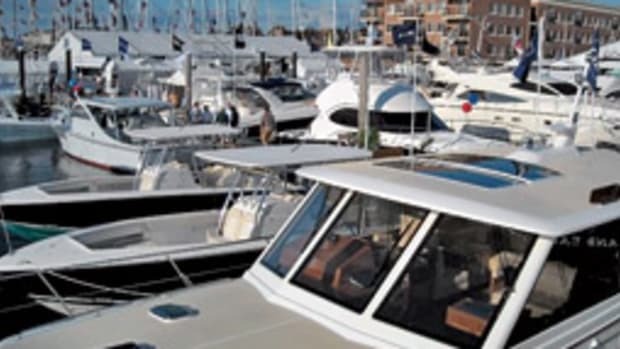 "I always like looking at the accessories and my husband likes looking at the boats so we don&apos;t have to be separated by floors this year," says Bradley. While the Bradleys weren&apos;t interested in buying at the show, it turns out others were. 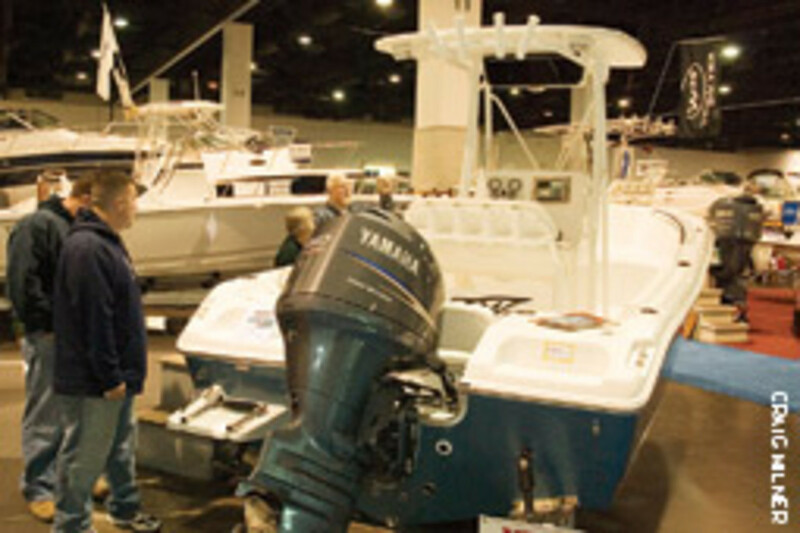 Ocean House Marina sales manager Jon Lyons says he sold six boats at the show, including a Hydra-Sports and Regulator. "The range of interest was between 18 and 26 feet, and we definitely walked away from the show very optimistic," says Lyons. 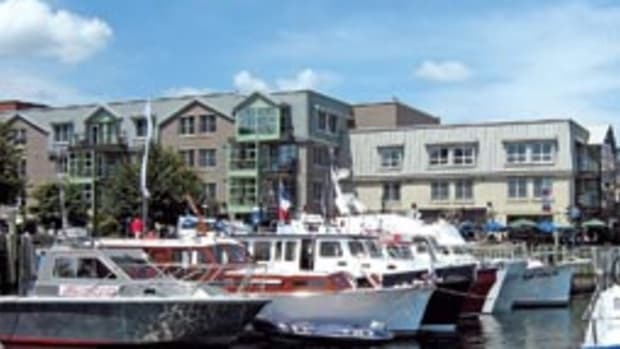 A newcomer to the show was Winnisquam (N.H.) Marine, which represents Premier pontoon boats. The company signed contracts at the show for two custom-built pontoon vessels: a 231 Alante model and a 220 Sunsation model, says vice president Ryan Crawford. attendance was on par with last year&apos;s - about 12,000 - despite the earlier dates and smaller floor space. "I wasn&apos;t sure what to expect this year, but knowing our exhibitors sold products is really exciting and it exceeded my expectations," says Piffard. Chris Lundin of Providence, R.I., says he was expecting the show to be a little smaller this year given the economic climate of the last year or so. "I have been coming for the last four or five years; I just love anything to do with boats," says Lundin, who owns a Wellcraft V20. "I&apos;m just browsing, planning for the future a bit. [The show] seems a lot smaller than when I was first here, but that&apos;s understandable." Piffard says the show has confirmed the first weekend in February for the event next year and hopes the later date will draw bigger crowds and more new exhibitors. 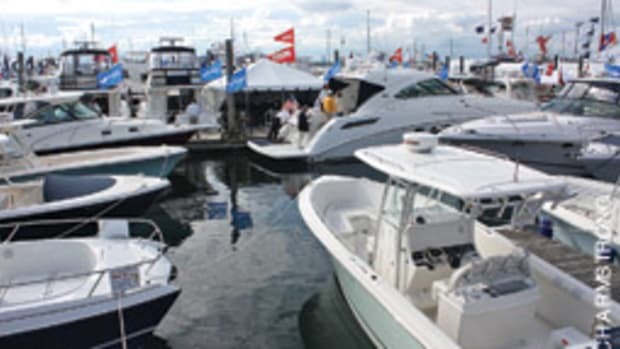 "It&apos;s a welcome break in the winter and it&apos;s the start of the boat show season," says Capt. 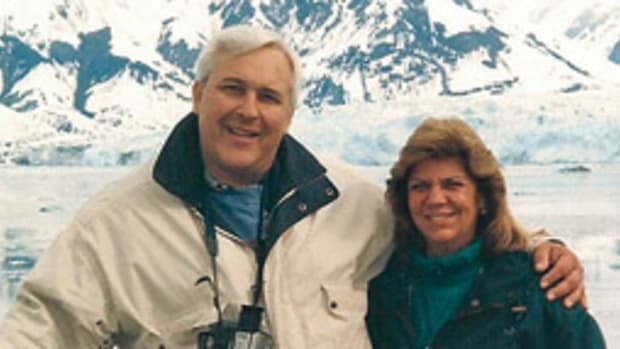 Bruce Macomber of Newport, R.I., owner of Howlin&apos; Wolf Charters. "It&apos;s fun to grab a Corona, walk around and see the new innovations in hull design and the new products." This article originally appeared in the New England Home Waters Section of the March 2010 issue.